Ohgo is your official source for real time Ohio traffic updates. Receive up-to-the-minute updates on current traffic speeds, accidents or other incidents anywhere in Ohio so you can get there faster. Ohgo before you go-go  view road restrictions and closures on Ohio roads and see in real-time how these events are affecting your commute. Remember, ice and snow means take it slow! View current road conditions, like icy, wet or snow-covered roads, and get to your destination safely. 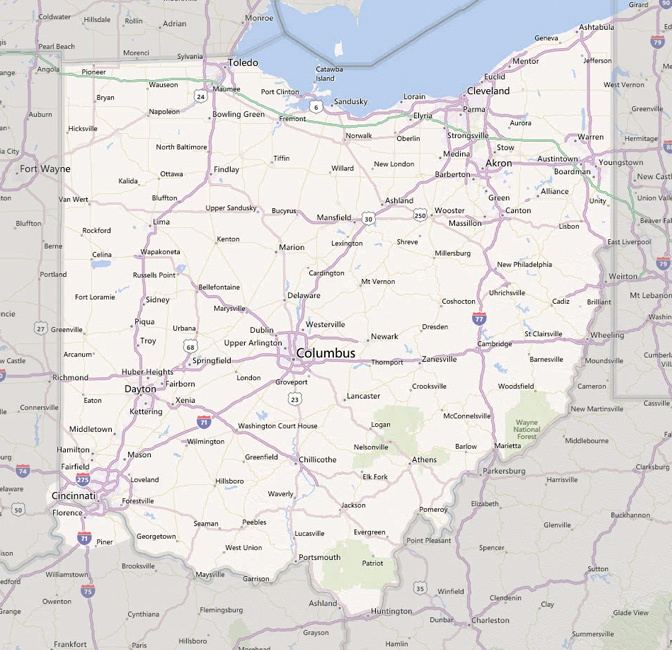 With a mission to provide easy movement of people and goods from place to place, the Ohio Department of Transportation (ODOT) is responsible for maintaining one of the largest transportation networks in the nation. Guided by ethical principles and accountability, ODOT works to improve safety, enhance travel and advance economic development. Visit ODOT's website to learn more. Looking for more information about Ohgo, or need some help getting started? We're here to help. Try one of these helpful links below.